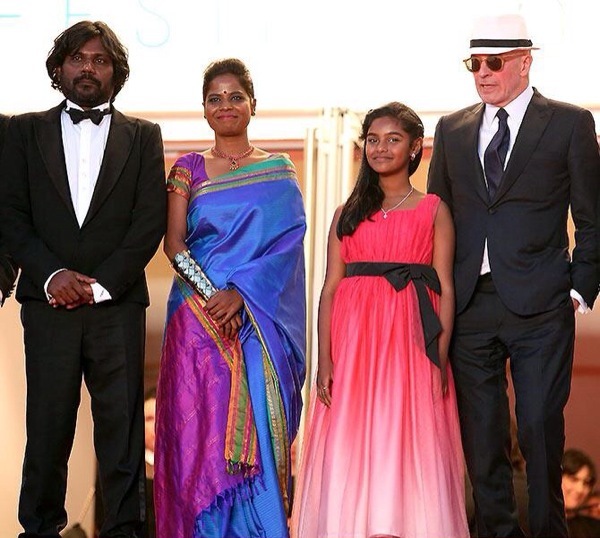 The main role in the movie is that of Dheepan whose name is the title of the film. The film narrative begins with the end of the war in Sri Lanka. Survivors flee or try to flee. One such person whose nom de guerre in the militant movement (Liberation Tigers of Tamil Eelam) was ‘Sivadhasan’ cremates his fallen comrades at Mullivaaikkaal and burns his military fatigues. Subsequently as the story unfolds we learn that Sivadhasan is all alone, having lost his wife and child in the war. He dons civilian clothes and mingles with the displaced ordinary people seeking escape to a new life abroad. Much of Shobasakthi’s writings display an impish sense of dark humour. His creative writing as well as other essays and interviews have been strongly critical of the LTTE and the Sri Lankan State. This has stirred up huge controversies in the Tamil literary realm. Two of his novels –’Gorilla’ and ‘Traitor’ – have been translated into English by the US-based Indian academic Prof. Anushiya Ramaswamy. Shobasakthi has also acted in and co-written the script of the Tamil film ‘Senkadal’ (Crimson Sea) directed by Leena Manimekalai. Among the non-Tamil roles, the performances of two actors are somewhat remarkable. One is that of Brahim played by French actor Vincent Rottiers. The 29-year-old Rottiers has acted in more than 30 films in a film career that commenced in 2002. Rottiers plays the head of the violent gang for whom Yalini played by Kalieaswari has a quiet infatuation. The other role is that of Youssef played by 31-year-old Marc Zinga. Youssef is the community liaison officer who guides the Sri Lankan Tamil newcomers in Paris and finds them housing. Zinga is a Belgian actor of Congolese decent. Editing for ‘Dheepan’ is by an Audiard “old faithful” Juliette Welfling, who was nominated for an Oscar in 2007. She has won four Cesar awards editing Audiard’s films. ‘Dheepan’ is scheduled for international release on 26 August this year. The film is produced by Pascal Caucheteux for Why Not Productions in France. Wide Angles erected a huge refugee camp set in Mandapam and arranged for numerous extras to act as refugees. Most of these extras were Sri Lankan Tamil refugees themselves. 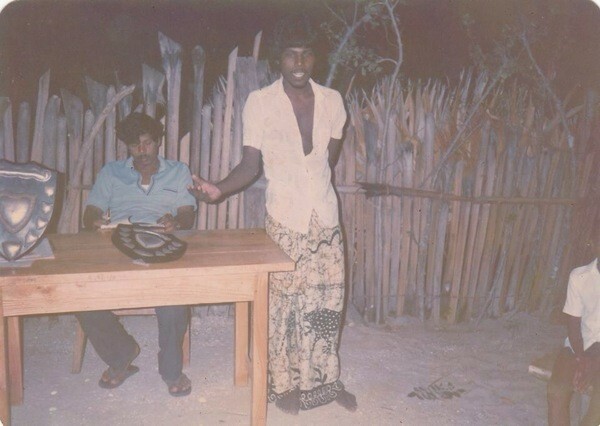 Mullivaaikkaal was also re-created in Rameshwaram. The company also provided technical crew for the film. The shooting was done for about seven to eight days in December 2014 and January 2015 in India. Juror Gulliermo del Toro brushed off suggestions of a political agenda in the selection of ‘Dheepan’ for the top prize, saying: “The issue of immigration per se was not something we discussed.” But Spanish actor and fellow juror Rossy de Palma did draw parallels between the film and “the people in the streets you see and wonder where they come from. People living in very difficult and precarious circumstances.” “‘Dheepan’ is real cinema and we feel deeply concerned by what’s happening in the Mediterranean,” Rossy said. 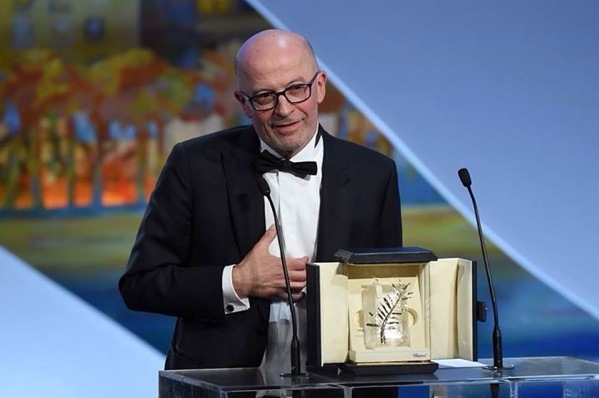 Jacques Audiard, who was born in Paris in 1952, began his career by training as a Film Editor. He then became a Film Script Writer at the age of 22. His first film as a Writer was ‘Bons baisers…..a lundi’ (Kisses Till Monday) released in 1974. After writing screenplay and scripts for many films, Audiard turned to directing two decades later. ‘Un prophete’ (A Prophet) was released in 2009. 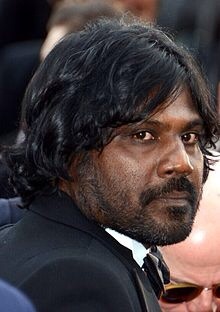 It was regarded as the best film made by Audiard until ‘Dheepan’. Jacques co-wrote the script with Thomas Bidegain, Abdel Raouf Dafri and Nicolas Peufaillit. The film was nominated for a record 13 Cesar awards in 2010 and won nine including Best Film and Best Director. ‘A Prophet’ also won a ‘Grand Prix’ at the Cannes Festival. The Grand Prix Jury award is regarded as one for the runner-up in the best feature film category. The film was also nominated as one of the five best foreign language films at the Oscar Academy awards. ‘A Prophet’ also won the British Film Academy’s BAFTA Award for Best Film not in the English Language.